Despite his $1 salary, Ellison was not only the highest paid tech CEO last year, but the highest paid of all CEOs. Most of Ellison's pay ($90.7 million) comes from his stock grants. 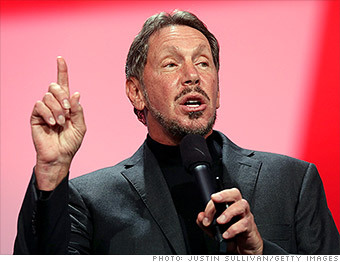 In June of 2011 he was given an option to purchase 7 million shares of Oracle (ORCL) common stock. See more on Larry Ellison from Equilar.